Joining the “Fresh Horses” Handwriting Brigade! The gorgeous uber blogger Eden Riley has invited the blogosphere to show off your own style of handwriting – as warriors of the keyboard we often are known by our tone and “voice”, but never our old fashioned writing style. And as one who adores this traditional medium, I was super excited to get in on the action and document my two distinct versions of writing. 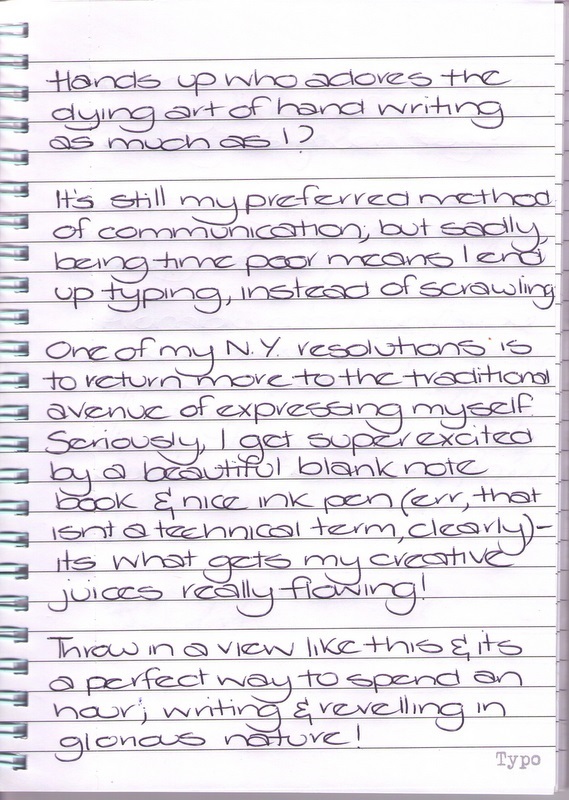 And like I (literally) wrote above, I CANNOT wait to indulge in more of this vintage, old school activity more in 2012! Your g’s are very cool and fluid. Schools should expect us to have a different printing/cursive handwriting style, since they teach the two styles seperately. Sillies! Love that owl drawing! 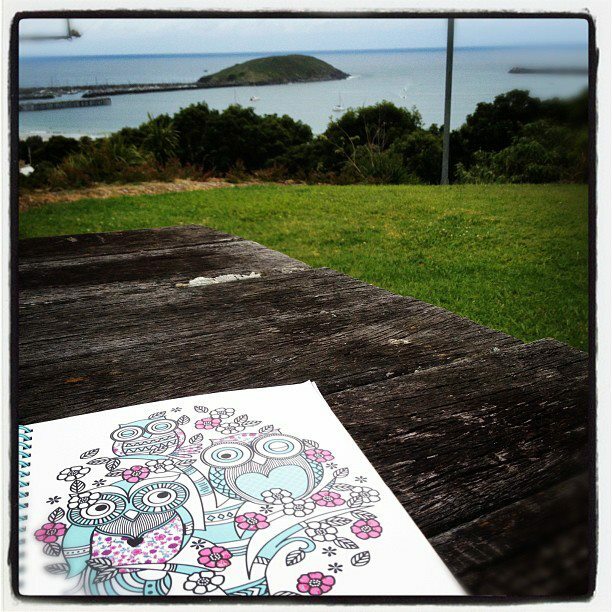 I am a huge owl fan… as well as a handwriting fan and a member of the fresh horses brigade. Neigh!! Donna did you actually draw that owl picture yourself? UNBELIEVABLE! You could illustrate a kids book with such skills, bloody hell! 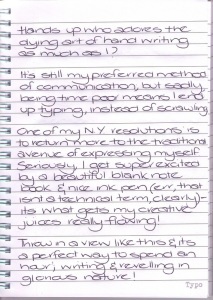 I love your handwriting styles too. And sucked in to the teacher. LOVE your handwriting (both styles). So pleased you stuck it to that teacher.